Advertising in real sense is the way or strategy to popularize a product services or brand with a view to increase the sales as a whole. A company cannot survive without offering its services to the target group or customers in order to create the sales or to create the market as the case may be. The olden method of salesmanship has become hard these days due to the increased cost of manpower. Further to manage a huge sales team further involves supervisory cost which increases the overhead as a whole. Again the manpower without effective training in a waste and hence it also attracts training cost indeed. As a matter of fact, advertising is never intended to replace the sales team completely. Rather it smoothen the selling function as a support system and helps build the harmony among the sales team. There was a period when selling need to be done by showing the product sample physically. Every sales person has to carry the product samples, irrespective of it weight and cover the vast distance to show it to the clients, wherever they are. This Himalayan task can be replaced by showing a simple brochure which has the pictures of the products and its description. Why the customers need to buy from you? When the availability of product is everywhere why the need arises to buy only from a particular company or supplier? What makes a customer to decide a particular product or company? In general every customer needs quality product. Of course they also need a good price. A good price means either competitive or affordable, as the case may be. Apart from this, there is one important aspect is often expected by the clients. That is after sales service or public relation. Good relationship constitutes the lasting business from a client. It sometimes supersedes even the product or service defects when the relationship is sound and effective. Before 1990, there were companies boasting about customer loyalty tend to neglect the presence of advertisement as a whole. After the globalization when competition shifted from local to global, it has become inevitable to avoid advertisement completely. When the competition is fierce, certain tactics required to popularize the product or services among the clients or buyers. The advertising techniques make this possible and practical otherwise the company will be out of race for sure. Irrespective of product or services, any company, whether small or big, needs to apply various advertising strategies to avert the tough competition in order to place their product in front of the customer who in turn will make the purchase decision. There is more number of companies seeking the professional advice and advertising support with a view to place their products or services first. There are Consumer products, Electrical and Electronic products, Food and Beverages, Mechanical and construction companies, Insurance and Financial products, Garments and Fashion products and Kids segment like Toys, Chocolates etc. Every company has advertising budget depends up on its size and presence. It may be a company with all India network or a small super market confined to particular area or city. Publicity can be made according to its presence and its need. What are the types of advertisements? Advertisement strategy is innumerable these days. Yet it is broadly classified into five categories. They are as detailed below. Print Media, Visual Media, Outdoor Publicity, Exhibitions & Events and the online advertisements. Let us see in detail about the Print Media Advertisement. Print Media is the oldest yet a very powerful form of advertisement till now. In spite of the technological advancement in various other types of advertisement, Print Media ad continues to reign because of its simplicity and clarity in conveying the details of any product or services as a whole. To express about the company a profile statement is often needed. Brochure carrying the company profile is of utmost important these days as people often wants to know about the company before signing any contract or before issuing any order. Further a brochure will also convey the product information, technical specification and service details etc which ultimately makes the brochure vital and important indeed. A brochure can be a Director/CEO’s profile also. Generally brochures are used for multi purpose, like product/service catalogue, company profile or about a specific project etc. A single sheet printed material consists of new product launch or opening of a new store or branch etc. 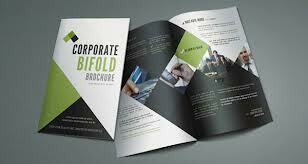 is called as leaflets/pamphlets which is used either direct distribution or as news paper insertion these days. This publicity method is both cost effective as well as could reach thousands of people over night. Print advertisement in News Papers and Magazines. Daily news papers have become part and parcel of our day to day life. Every one of us is keen on reading the hot news of the day. Prominent papers like The Hindu, Indian Express, Times of India and more such daily papers are reigning these days. Lots of advertisements are displayed in these papers since the readership is more for such news papers. Starting from classified ads to box type display ads and half page/full page ads, branding pages which will serve as a cover for the news paper are some of the kinds of publicity through news paper. As vast majority of the people are having the habit of news paper reading, this type of advertisements are popular among educated circles. Thank you very much for the wonderful and informative article. It is wonderful blog. This bloged good information sharing. It is very interesting. I shared Vehicle towing company with many social sites. Thanks for sharing. - Check out this photo by Ayubkhan.U: http://www.eyeem.com/p/90179352 Take and discover photos on EyeEm. For iPhone and Android.